This is an era of sharing. Lots of followers or even celebrities we followed in Facebook, Twitter or Instagram updated their status with polished selfies and beautified short videos. We have to admit a rendered video or polished image arouses people’s interest in interaction easier than a text type of updates. There are a great number of free mobile apps available to beautify pictures. But when it comes to free video editors, we search in Google and find many free apps there. They are actually free but when you save the video you spent hours editing to PC, you’re shocked to see they are watermarked with brand names. Will you post them to your Facebook or abandon it and employ a new editor to make a new video? 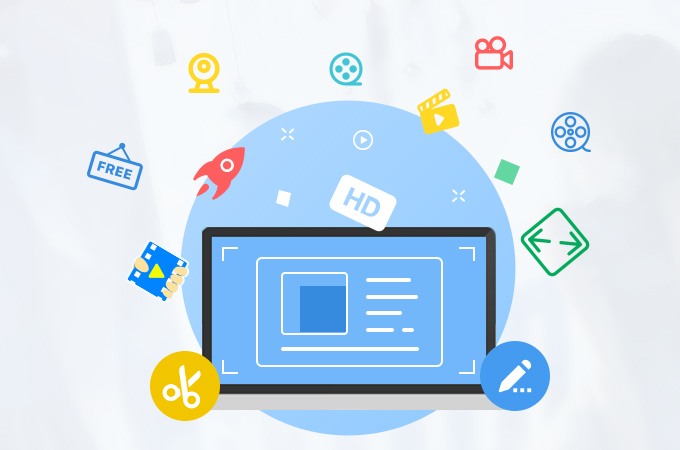 For getting you rid of dilemma, here comes free video editing software without watermark I believe you’ll like to use. Video Grabber should be one of your primary choices if you don’t want to leave a watermark into your video. As a free video editor app running on the web, it can polish videos on both Windows and Mac. We can do cut, trim, split, crop, rotate, flip, add filter, add your own watermark to videos, increase volume, adjust video to slow motion, etc. The steps are very easy as well. After you install the launcher (this is a necessary step for first-time users), you can upload as more videos as you want to the web for editing, forward to “Advanced Settings” window to edit the video, click “OK” when you think it is good looking, press “Convert” and a new file without watermark will be created to your PC. Supports to download films from 1000+ sites free. Allows importing files from local disk to convert to other codecs. Records video and audio in high fidelity and quality. Provides search engine to dig out hot videos from the internet. Most of us are familiar with this program and it is probably the most popular video editing software without watermark across the globe. 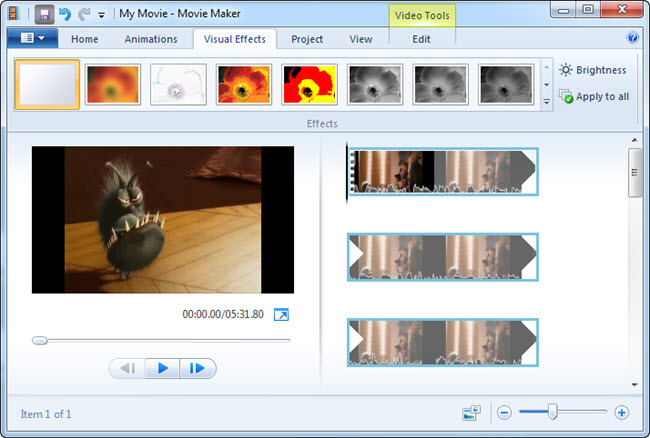 As a default video editor that can be found on all computers running Windows OS, whatever your skill set or what you are trying to accomplish with your videos, Movie Maker is an option packed with enough features you’ll be satisfied with. The program’s user-friendly interface implies you won’t have to waste time shuffling through its Manual documents. Upon this tool, after you load videos or pictures, a timeline will show in the right panel. You can simply cut, split, merge, and rotate video. Captions, visual effects, transitions, and music are also permitted to enrich the video. Only supports and outputs windows friendly video formats. Doesn’t allow for audio editing. Hangs and crashes more often. YouTube is a very popular video sharing site, and its YouTube video editor can be used as a free video editor without watermark. Especially for those who have their own channels on YouTube if they are not content with the own created video, this is a must have tool before they upload videos to YouTube right away. Open YouTube video editor, drag a video to the timeline for video, it will show in the player window immediately. In the right editing section, we can set the brightness, contrast, change the video speed, add filters, insert captions and so on. Even though the options for editing are limited, it is enough for basically fine tune video. No available download button for save edited file directly to PC. Limited options for editing a file. 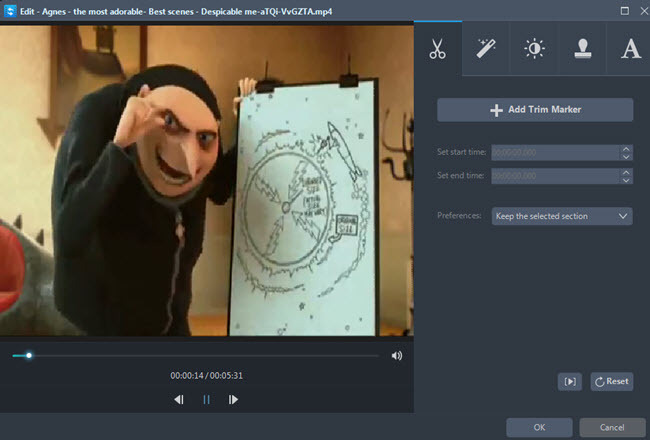 Another program for editing videos without watermark is BeeCut. 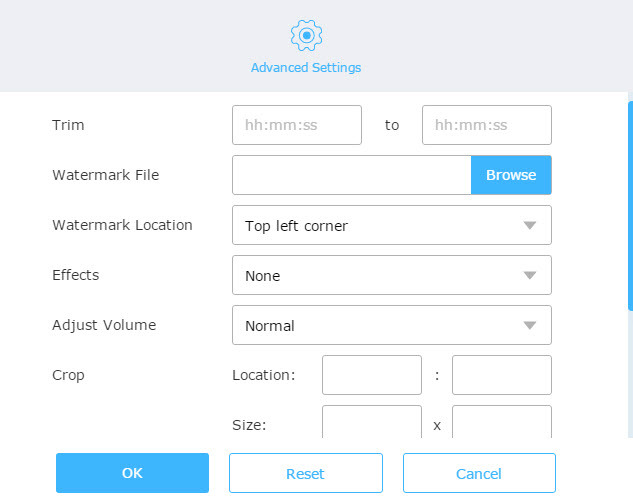 It has five editing modes (16:9, 9:16, 1:1, 3:4 and 4:3) for people’s choices based on the raw video aspect ratio. 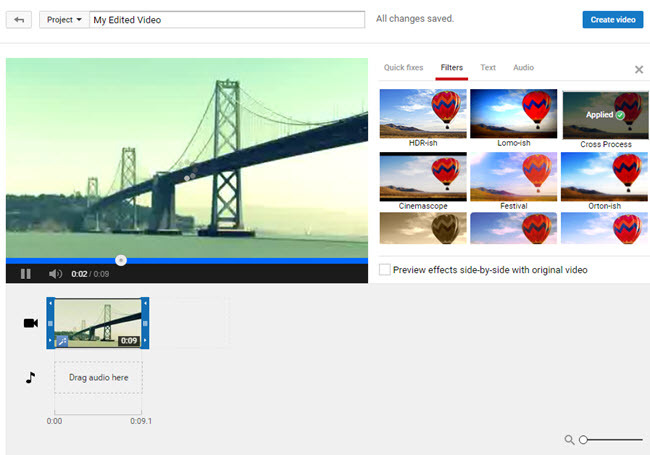 The timeline design simplifies the process of making edits of videos. After the media are added to the track, you can preview and basically edit the video frame by frame. For example, you can cut the video into pieces, crop video size, modify its visual effects, adjust the sound volume and add mosaic to video. In addition to these basic editing features, this free video editor without watermark can let you add text, filters, overlays and transitions to the video as well. Compared to the first four video editors without watermark on the list, Video Converter Studio produces professional-looking videos. 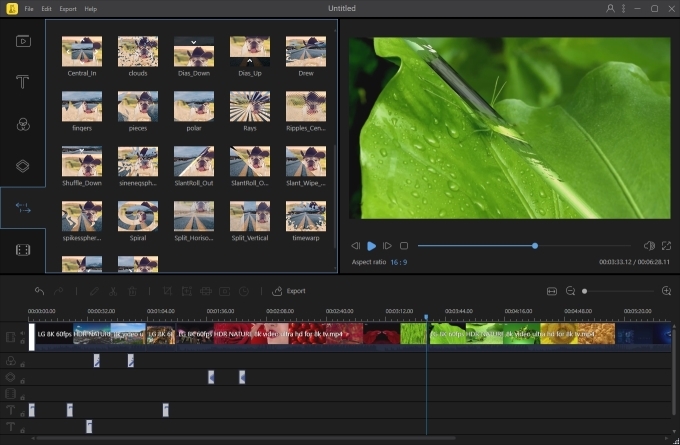 It supports nearly every video format and offers more advanced functions except the basic editing features, which includes capabilities to edit audios, correct colors, modify sound volume, add captions, dub videos with your own voice. Or if you want to protect your works from being abused, you can mark the video with your self-made watermarks. Supports to output videos to any format as it has a powerful video converter inside. Allows users to download video from almost all video sites. Records videos and audios in different modes. Makes videos with pictures, music and preset transition templets. Creates animated GIF images with videos. You know of other great video editors without watermark that are not on this list? Do not hesitate to let us know by leaving your comments in section below. We’ll consider correcting the list. Or if you think these programs are useful to you, tell us about it. Rating: 4.3 / 5 (based on 198 ratings) Thanks for your rating!